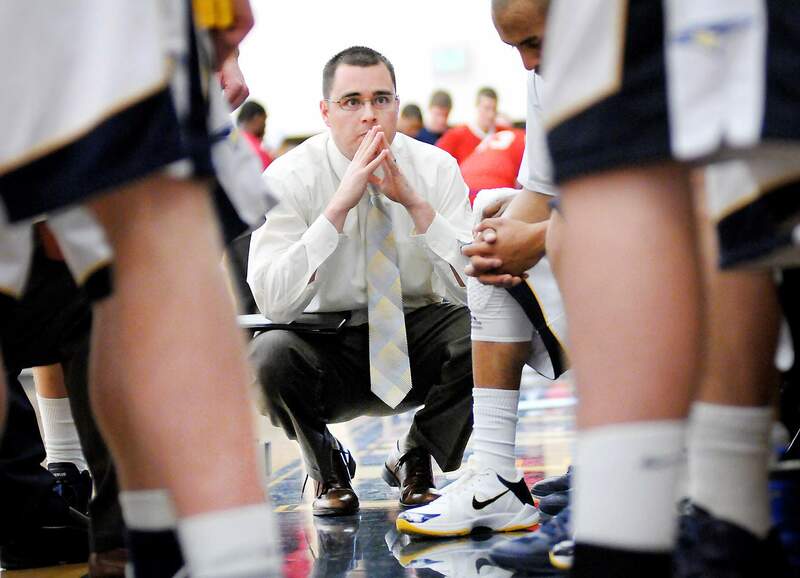 Bob Pietrack spent 11 years studying the game of basketball as an assistant coach on the Fort Lewis College staff, and now he is ready to run as the team’s new head coach. 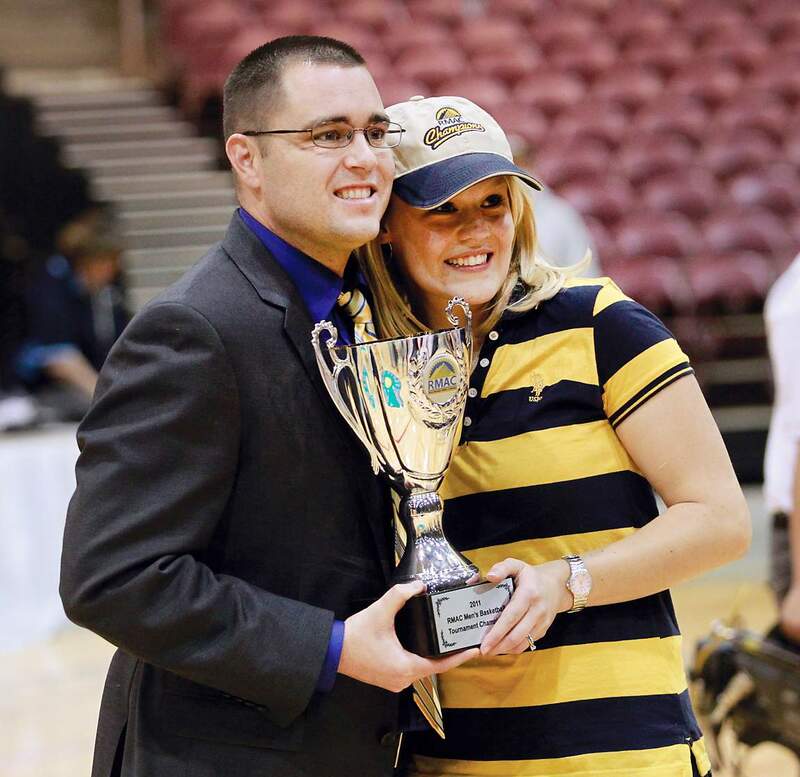 Bob Pietrack and his wife Lauren have shared many special moments together at Fort Lewis College, including winning the 2011 Rocky Mountain Athletic Conference championship while Bob was an assistant coach. 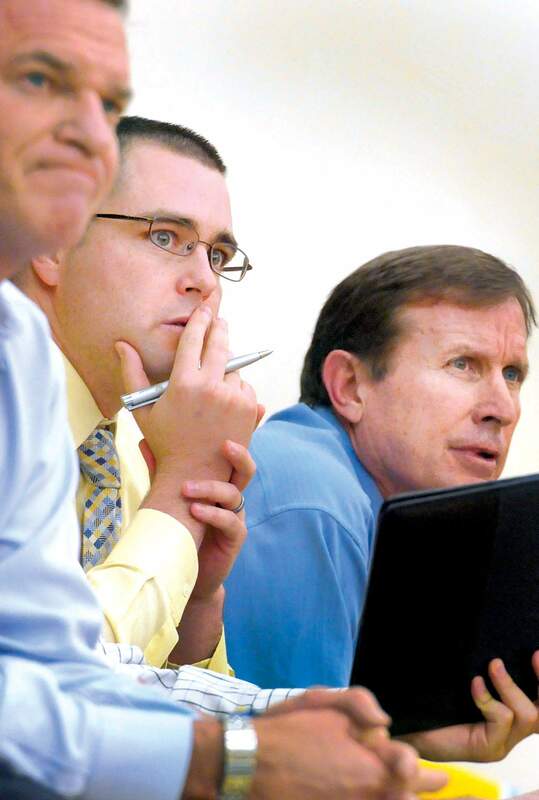 Bob Pietrack, center, learned most of everything he knows about college basketball from Bob Hofman, right, who retired as head coach of the Fort Lewis men’s basketball team last week. That ushered in Pietrack’s era as the new head coach. Finding a replacement for a 19-year head coach is a difficult task for most colleges, but not when it comes to the Fort Lewis College men’s basketball program. After two stints and a combined 19 years leading the Skyhawks, legendary head coach Bob Hofman announced his plan to transition into retirement. Luckily for Fort Lewis, Hofman had been grooming a predecessor for 11 years in Bob Pietrack, who was promoted from associate head coach to interim head coach two days after Hofman agreed to retire. Hofman posted a 359-190 record at FLC and is the winningest coach in program history. He owns every coaching record for FLC basketball and has an overall coaching record of 572-348 in 33 seasons between high school, Division I Eastern Washington and Division II Fort Lewis and Western State. In the last 11 years, Hofman and Pietrack’s teams went 229-94 and won four Rocky Mountain Athletic Conference West Division titles. They made five trips to the NCAA Division II Tournament and won two RMAC Shootout tournament titles in 2008 and 2011. The Skyhawks also won regular-season RMAC titles in 2005 and 2008. Positive reactions to the announcement of Pietrack’s promotion have come from all over, including current and former players. Returning senior guard Cade Kloster said he expects a smooth transition, especially with Hofman staying on as a coach emeritus for one more season. “Coach (Pietrack) has been helping out and doing more and more each year. I’ve noticed that, and I know he’s going to do a great job,” Kloster said. Hofman said the decision to begin to step aside was made much easier knowing he was handing the reins to Pietrack. He is looking forward to working more individually with players in the upcoming year. Hofman also said there wouldn’t be any stepping on toes as he and Pietrack continue to work together for one more season. “In our profession, it happens very seldom that you can do something like this. Bobby is more than deserving,” Hofman said. “He and I have a relationship where nobody is going to say ‘stay away’ or ‘hey, you need to be here more.’ A lot of times people say to longtime coaches to stay away and give the new coach a chance to do it their way. Bobby and I are way beyond that in our 16 years as a player and coach. Fort Lewis athletic director Gary Hunter said he has received positive feedback after naming Pietrack as the interim head coach. Instead of immediately opening a coaching search, Hunter wanted to name Pietrack the interim coach to give him a chance to take over the program outright. “Bob Pietrack is very popular, loyal, hard working and has been a great tool in Hofman’s crown the last few years,” Hunter said. “I watched him for four years and thought he was ready and am delighted to give him a chance. When asked if Pietrack as the head coach would be reassessed after the upcoming season, Hunter said all of the college’s head coaches are on a one-year basis. When women’s soccer head coach Damian Clarke resigned in late July of 2014, Hunter named Jimmy Hall interim head coach for the fall season before officially naming him the head coach going forward earlier this spring. “Though (Pietrack) is tagged as the interim coach, we will give him the full status and support of any head coach we’ve got,” Hunter said. Pietrack will retain assistant coach Daniel Steffensen, who will become his top assistant. Steffensen has been on the staff for four seasons and played two seasons at Fort Lewis from 2009-2011. Pietrack said the opportunity means a lot to his entire family, including his wife Lauren, who also attended Fort Lewis and is in the stands cheering on the Skyhawks every game. After winning nearly 71 percent of his games on the sidelines alongside Hofman, Pietrack knows there isn’t much that needs to change for the Skyhawks. His main message to the players was to continue doing things the way they’ve been doing it. He knows only one way, and that’s what he calls the “’Hawks’ way” of operating. That won’t change. “I understand the challenges of sliding over one chair and what that brings. I’ll prepare myself and be ready,” Pietrack said. “As things change, they will continue to stay the same. FLC basketball and the way we play and do things will stay very similar to what it has been. It’s not broken by any means.